This week we’ll look at: Getting over your fear of OTT, Pinterest’s IPO, Adobe announces an OTT partnership, Storytelling on social media & Media auditing. OTT is the NBT, OTT’s down side is measurement transparency. As Pinterest’s valuation goes up and they look to go public this year, it’s interesting to see where they are financially compared to other ad-funded social platforms like Twitter and Snapchat. In comparison, Pinterest’s operating costs are much lower, which bodes well. But most importantly, from an advertising perspective, Pinterest’s user base represents a much higher intent audience for advertisers, as users are there SPECIFICALLY to look at cool and new products, which is not the case for most other social platforms. This means looking forward, Pinterest should have an easier time attracting advertisers and revenue than their “bigger” counterparts. Adobe Announces Plan For Partnerships Impacting OTT + ABM see the article here. Adobe is announcing some huge partnerships within the OTT space. Data will be more integrated than ever and will even give B2B clients a better reason to try out OTT. Don’t know what any of this means? 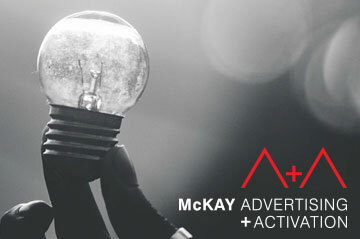 Email leticia@mckayadvertising.com to hear more about our OTT educational event on the 25th! How to tell a story on social media See the article here. We’ve all seen at least one video from Gary Vee and whether you agree with his methods or not one thing indisputable; he pushes out a lot of content. This article offers great advice on who to accomplish great storytelling via social media. In the end, your main goal is to evoke a reaction! Advertisers seek auditing alternative See the article here. If CPM auditing is flawed, then the programmatic landscape gets dicey. Our contention is that full-funnel attribution is the only hedge for bogus inventory.